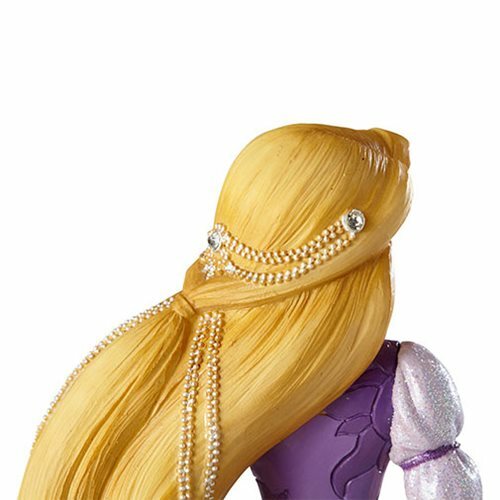 Follow your dreams with this radiant princess! 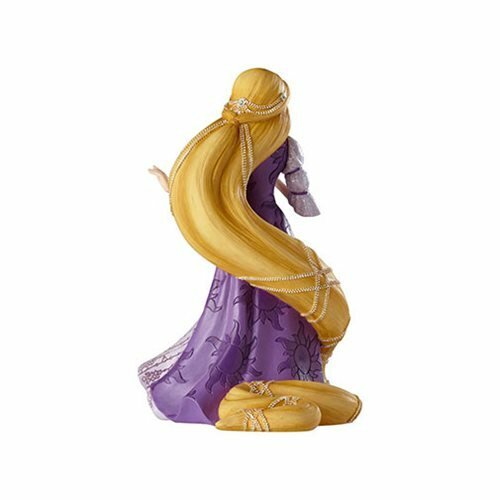 She will light up your collection with exquisite details, like her sparkling sleeves, pearls braided through her golden hair and gown with a sun and flower pattern reminiscent of her kingdom, Corona. 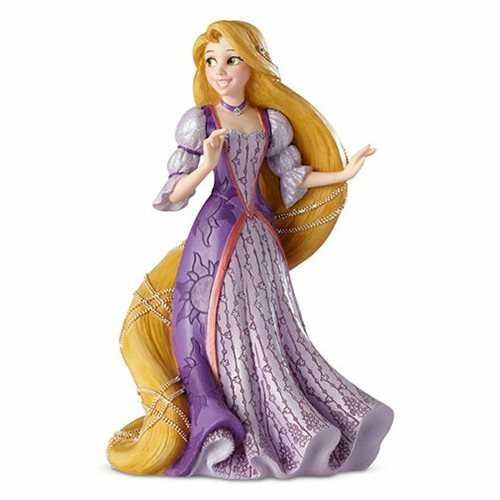 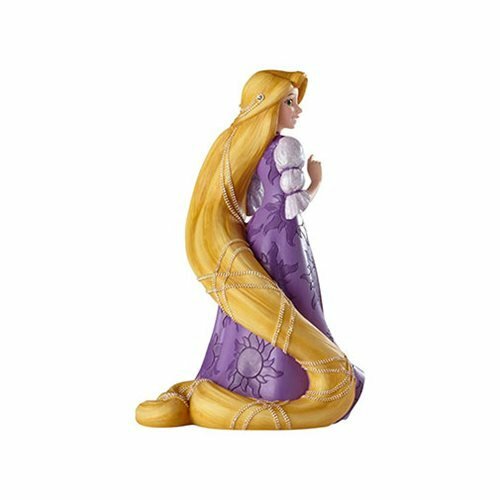 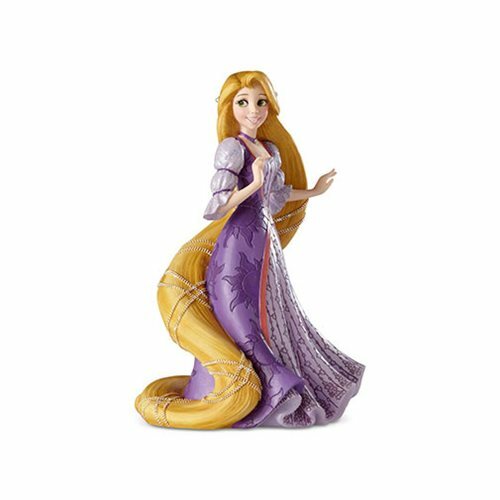 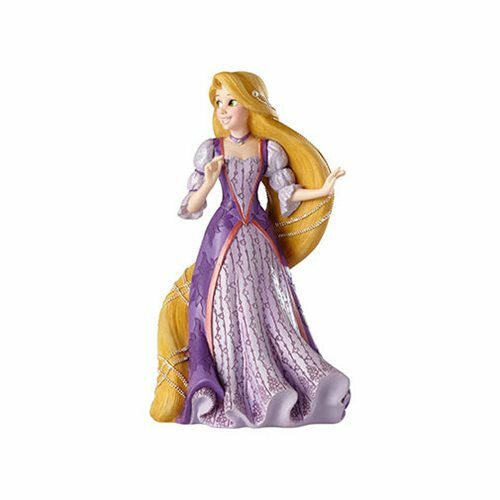 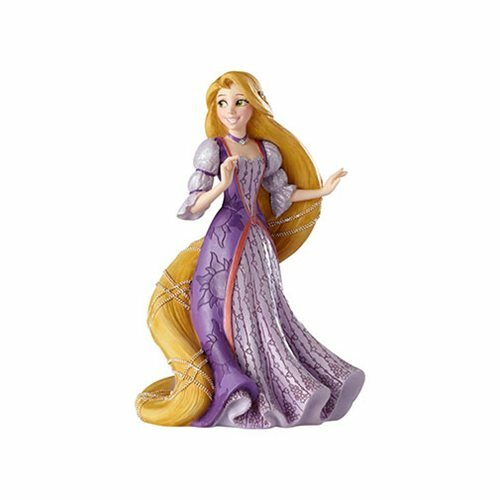 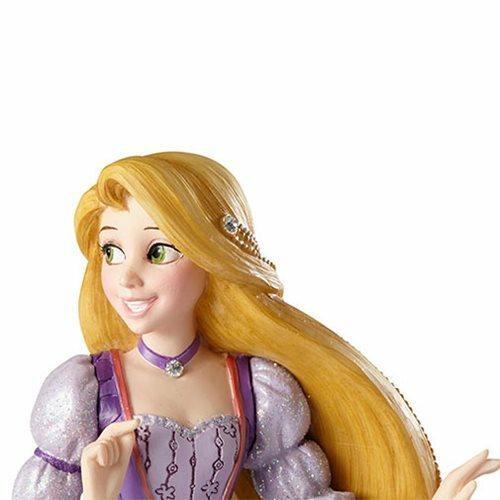 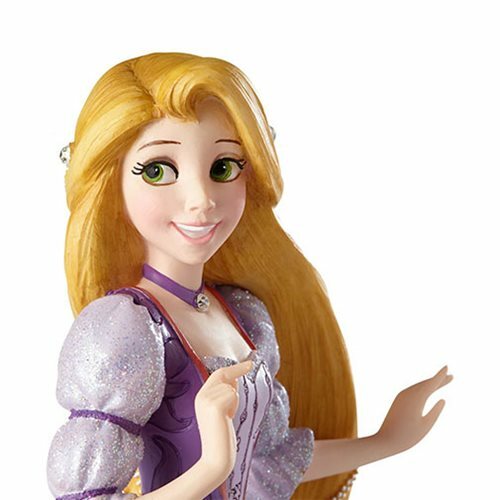 The Disney Showcase Tangled Rapunzel Couture de Force Statue is made of stone resin. 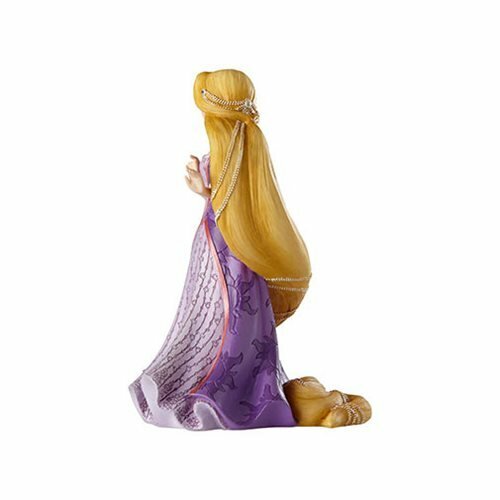 Measures about 8 1/10-inches tall x 5 1/2-inches long x 4 1/2-inches wide.